This is a continuation of reviews of the wonderful books that I read that are publishing in May. Be sure to read my reviews of early May releases. Amazon affiliate links are used in this post. ARCs were provided for honest reviews. 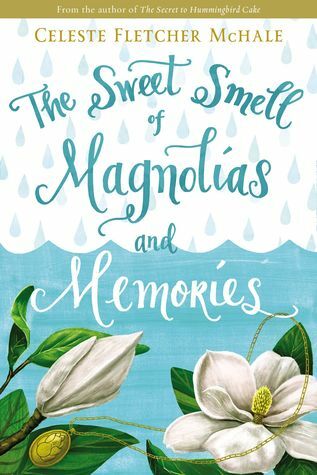 This novel takes place in a small Texas border town that most people can't wait to leave but not in the way that Della Lee left town. In the 40s she was found guilty of killing her sister and sentenced to life in prison. As the book begins, she is returning to her old home after 70 years in prison. Also in town at the same time are Mick Anders a journalist from Boston who is on suspension from his newspaper and is looking for a good story and Dr. Polama Vega who is back home from NYC for a two-week vacation to take care of her grandmother and try to help her teenage sister before she gets into trouble. The book alternates between Della Lee telling her story from the 40s and the other characters telling their story from present day. 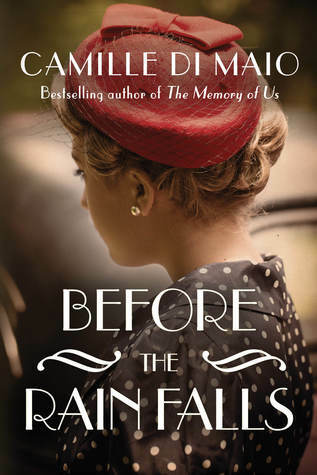 Their lives become tied together as they try to answer the question of what really happened 70 years ago. I loved the way the author told this story by intertwining all of the characters lives. Della Lee's story was so sad and her experiences in prison were terrible even though she tells it in a very calm way. Her crime and subsequent time in jail is the central plot of the novel and her story keeps you rapidly turning pages to find out everything that happened to her. She is a character that I won't soon forget. I strongly advise you to add this book to your TBR lists. It's the story of family and love and finding out what is really important to live a happy and fulfilled life. 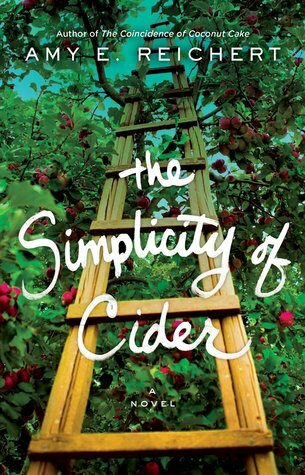 The Simplicity of Cider is another fantastic book by Amy Reichert. I have read her previous books and enjoyed them all but this is my favorite. The characters are so well done that you feel like you know them and the descriptions of Wisconsin (on Lake Michigan) are so beautiful that you want to visit. Sanna Lund and her father run an apple orchard that has been in their family for five generations. Along with growing apples, Sanna is trying to make cider that can help boost the profits of the orchard. She is happy with her uncomplicated life and her love of the land. Then along come the complications - her brother wants to sell the orchard to a company that plans to build a water park on it. Her brother is justified in wanting to sell because the orchard is losing money. Along with that, her father hires a single father Isaac who has a young son, Bass, and they are fleeing family issues in California. Once her father falls and breaks several bones, things really become complicated for Sanna. The reader doesn't know if she'll be able to save her beloved orchard until the end of the book but readers are in for a fantastic story to find out. This is the perfect book - a little suspense, a little romance and a lot of family love in a charming community. Read it - you'll love it! Peyton is just existing in a marriage that's falling apart and is making plans to divorce her husband now that their children are both in college. She relies on her three best friends to help give her advice on how to confront her issues until one fateful day when her friends are killed in a car accident. Peyton is overwhelmed with grief and unable to function. She goes to a minister for grief counseling who refers her to a local women's group called the to-hell-and-back club. The main purpose of this club is to mentor other women in a non-judgmental way who have been through hell and have managed to start living again and be able to mentor new members. This is a very affirming story about the value of friendship and how crucial friends are in overcoming life's tragedies. 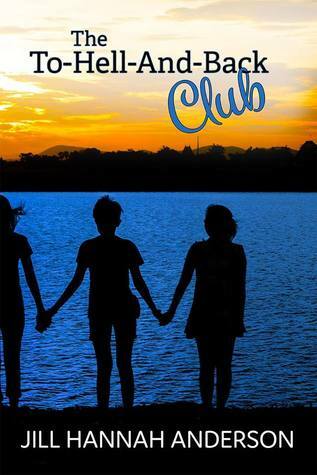 I hope that the author writes future books about other members of the club. This is a fantastic book by Celeste Fletcher McHale about love and family and friendship. It's full of fantastic characters who will make you laugh and very possibly cause you to shed a few tears. Jacey is a writer who was working on a story and made a bad decision to drive through a flooded area in the road during a downpour. Her car ended up in the river and she barely survived by spending three days on a roof with a mother and her four children and Colin. She and Colin formed an immediate bond and agreed to get in touch with each other after being rescued but after a year, they still haven't found each other. Jacey is struggling with PTSD as a result of almost dying in the flood and doesn't remember some important parts of the rescue. When she does find Colin again, it causes her to remember the rest of what happened and she is devastated by her memories. Colin is fighting his own demons with his problems with his parents. Can they both overcome the problems in their lives and end up together? This is quite a story with lots of ups and downs and several big surprises. I loved the characters of Jacey and Colin and the fact that they were very real in their struggles to live their lives. One of my favorite characters in this book was Jacey's best friend, Georgia, who always had a snarky remark for every situation and tried to appear very happy to the world even though she too was hiding a lot of pain. Read this book - you are going to love it.